Marvel Studios has finally broken its losing streak at the Oscars. Black Panther was nominated for seven awards at the 91st annual Academy Awards and, in a surprising start to this year's ceremony, Marvel's record-breaking blockbuster took home two awards in the Best Costume Design and Best Production Design categories to start off the ceremony. It would also go onto win Best Original Music Score for Ludwig Goransson, winning three of the six Oscars it was vying for throughout the night. This further cements director Ryan Coogler's comic book adaptation as one for the ages. Black Panther was also up for Best Picture Oscar in addition to Best Sound Mixing and Best Sound Editing. But it did not secure wins in those categories, losing out for Best Picture to The Green Book, which was perhaps the most controversial win of the night, as many felt that film was undeserving of top honors for a variety of reasons. First up was the award for Best Costume Design. The Favourite, which was also nominated for Best Picture, was largely seen as the favorite (no pun intended) to take home this trophy. Melissa McCarthy and Brian Tyree Henry presented the award, who themselves made an impression with their costume choices. Ruth Carter, who instead won for Black Panther, had this to say in her acceptance speech. "Marvel may have created the first black superhero, but through costume design we turned him into an African king. It's been my life's honor to create costumes. Thank you to the Academy. Thank you for honoring African royalty and the empowered way women can look and lead on screen. Adding vibrainaum to costumes is very expensive!" Ruth Carter was understandably and visibly emotional in her Academy Awards speech. She became the first-ever black woman to win in the Best Costume Design category. 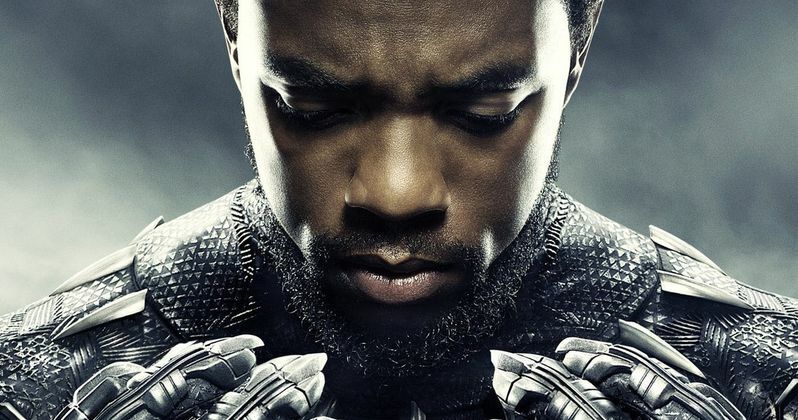 Black Panther prevailed over other nominees, including The Ballad of Buster Scruggs, Mary Poppins Returns and Mary Queen of Scots. Shortly after this award was handed out, the Best Production Design award was announced. Again, it was Black Panther prevailing. Over heavy competition, including The Favourite, First Man, Mary Poppins Returns and Roma. Designer Hannah Beachler and set decorator Jay Hart accepted the award on behalf of the movie. Beachler also made history, becoming the first black artist to ever win the Production Design award in the category's 90 years, after becoming the first black artist to be nominated in the category. Period. So, not only is this proving to be a long-awaited, big night for Kevin Feige and the rest of the folks at Marvel Studios, but it's a big night in general for the Academy. The third Oscar going to to Black Panther was for Best Original Music Score, which went to Ludwig Goransson. He also gave a stirring speech about working with director Ryan Coogler together in college on their first student film, and now 17 years later, they had collaborated on such an important piece of not only Marvel, but film history in general. Black Panther became the first comic book movie to ever earn a Best Picture nomination, after its record-breaking $1.3 billion run at the box office. Marvel had previously scored Best Visual Effects nominations for all three Iron Man movies, Guardians of the Galaxy and its sequel Vol. 2, Doctor Strange, Captain America: The Winter Soldier and The Avengers. Yet, they went home empty handed. In addition to the other categories that Black Panther was up for tonight, Avengers: Infinity War was also nominated in the Best Visual Effects category. It lost out to First Man. The awards were later announced at the official Oscars website.